It should come as no surprise that people are living longer. That’s a great thing! In the early 1900’s, any individual over 50 had lived a long life. A lot has changed over the last century — as advances in medical science and technology have provided us with the tools we need to live longer and healthier. Ninety percent of individuals who are 65 years old today will live an additional 20 years. On top of that, nearly 75% of couples will have one spouse live to 90 years of age. The statistics demonstrate that people are living much longer. What does this information mean in terms of elder care? Over 70% of individuals who are age 65 will eventually need some form of long-term care. — defined as needing the assistance of another on a regular basis for a period of three months or more. One of the downsides of an increased life expectancy is the increasing necessity of long-term care. Many of our clients were fully aware that people are living longer, but few of them ever thought about how to prepare for it. The greatest threat to these individuals is becoming impoverished in order to pay for the cost of long-term care. 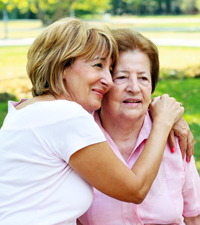 Many families struggle with the increasing costs of long-term care. Currently in Michigan, the average cost of nursing home care is $77,483 per year. That’s approximately $6,457 per month. With that kind of cash outflow, how long would it be before your retirement funds ran dry? The fact is that many people let their retirement funds run dry before seeking help. Let’s change that trend. 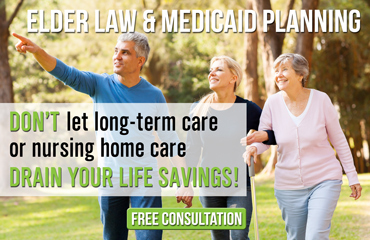 Rather than spending hundreds of thousands of dollars on increasing long-term care costs, let’s plan ahead. It is never too late to protect your assets from being spent down rapidly in a health care crisis. Furthermore, if you take care of the legal and financial matters beforehand, you can focus on the medical and care-giving issues that must be addressed in a crisis.